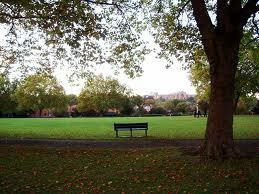 The lovely weather might not be here to stay, but it's got us thinking about North London's many fine green spaces. These are our favourite family friendly parks, but we'd love to hear about the North London parks you like to take your kids to. It's always nice to try new parks and places to go so we hope you'll find some inspiration and share your favourites too. Why go there: We are big fans of Golders Hill with its free (small) zoo, butterfly house, large sandpit, ducks and beautiful open parkland. 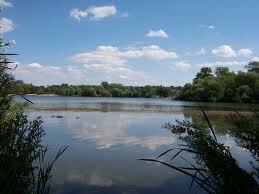 You can also walk from Golders Hill on to the Heath if you fancy a walk on the wilder side. Food: Golders Hill has a good, small Italian restaurant and an absolutely fab ice cream parlour serving some of the best ice cream you can get in London. Why go there: A really fun park with a great playground, a very large paddling pool and large wide open spaces for exhausting children. Food: The Fun Yum Cafe is a great cafe serving healthy food for kids and in summer kids can splash in the paddling pool while you relax with a paper. Why go there: There is so much to do at this park with a playground, a boating lake, a deer enclosure and indoor play at the fabulous Little Dinosaurs. Food: With five cafes you are spoiled for choice. The Grove Cafe serves Italian deli style food. Little Dinosaurs serves healthy, homemade food and has a good kids menu. 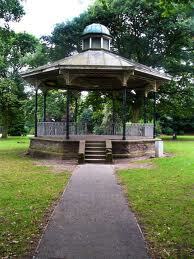 There is also a lakeside cafe, a cafe in the garden centre and the Bar and Kitchen. 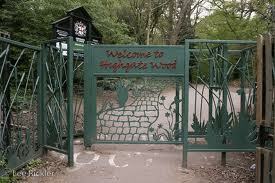 Why go there: Highgate Wood is a thoroughly peaceful place close to Highgate Tube. There is an excellent adventure playground that is separated into different age groups so is suitable for all. Food: In our opinion, the best park cafe in North London. Time Out gave it four stars (full review here). A varied menu including healthy options, a daily homemade muffin and other luscious cakes. Why go there: There is a fairly good playground here but the main reason to come is definitely for the food! Good for scooting too. Food: A close challenger for best park cafe, Sunny Hill Cafe serves absolutely awesome meditarranean style food including delicious falafel, mezze and shakshuka. Highly recommended in good weather when kids can run around the wide open space outside in full view, whilst you eat. Why go there: There is so much to do here with a massive playground with large sandpit, fab splash pool and great play facilities. There is also a small farm. This is yummy mummy central though so stay away if that bothers you! Food: The cafe serves nice light snacks and ice creams. Even better though is picking up a picnic from one of the many nice delis and bakeries nearby. Why go there: The playground has recently been renovated here and has really good facilities including a very large sandpit, big pirate ship, paddling pool, lots of different sized swings and a range of different play areas for all ages. Food: We've not tried the cafe in the park but hear it's not that great. Nearby there are loads of places to pick up food from on Church Street. 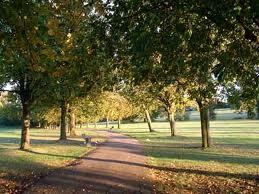 Why go there: Hampstead Heath needs no introduction obviously, as North London's most beautiful open space. But this is our favourite part to visit with children as it has an excellent adventure playground with loads of fun things to do (including a large sand digger that children seem happy to queue up for ages to use) and also a very large splash pool for hot days. There is also a large lido. Food: There is a busy cafe on the Heath and also nearby Kalendar, which serves good food and has highchairs and changing facilities. 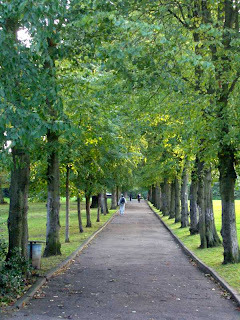 Why go there: This park is very close to Stoke Newington and is a great place to go with kids. There is a small but fun playground with a very big sandpit with pretend pirate ship action, lots of good walking and scooting, and a large pond with ducks. If you go just outside of the park you can walk along the towpath of the Lee Valley canal and see lots of houseboats, which was fascinating for my daughter who now wants to live on a boat! Food: As well as being a great park for a day out, there is a really family friendly cafe called Spark Cafe, which has high chairs and a good kids menu. There is also a cafe if you walk along the towpath. Why go there: This place is an absolute gem. Costing only £5 for the whole family at weekends and holidays and £4 at other times, it is real value for money. There is a small farm, an adventure playground, lovely woodland walks around the lake and 100 Aker Wood - a Winnie the Pooh themed area. Food: There is a small kiosk selling ice creams, pasties and sandwiches but you are best to bring a picnic and eat in one of the lovely spots overlooking the lake. Why go there: A really good day out in nice weather. Lots to do with children including two playgrouds suitable for older and younger children, three paddling pools, a miniature railway, bouncy castle and paddling in the shallow river. There is also a nature trail you can follow. Food: We haven't been to the Cha Cha Cha Cafe but it does have a children's menu, high chairs and changing facilities. Why go there: There is lots to do in this park which has a good playground, a splash pool, mini golf and nice picnic area. Food: One of the main reasons to visit this park is Inn On The Park, which only recently won an award from Netmums for being the most family friendly venue in West Hertfordshire. The cafe is large with a nice outdoor area for summer and has a great kids menu, including a kids afternoon tea. Do you agree with our selection? Have we missed out your favourite park? Do tell us what you think and share your favourites with other parents.